for $1,000,000. The lot size is 1719 X 1712 X 1142 X 1160. 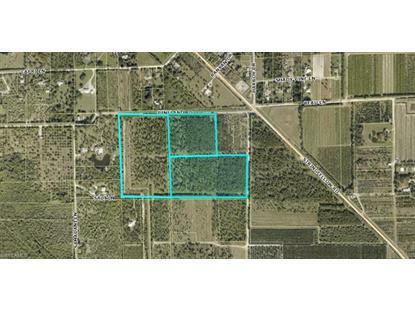 Beautiful 44 acre parcel with over 1300' of frontage on Pineland Rd. Property has commercial sized well permitted for 29 million gallons/year to provide all your water needs as well as 5 wind machines. Currently planted with palm trees, including royals, bismarckia, coconuts and foxtails, the property is made up of 9 platted lots and has no development restrictions. The property is conveniently located on Pineland Rd just off of Stringfellow Rd., near Pineland Marina, Alden Pines Golf Course and Tarpon Lodge.